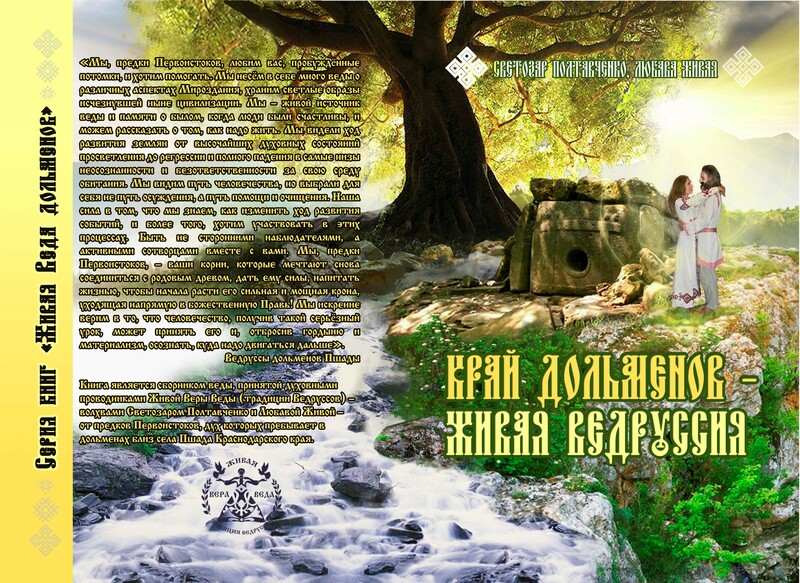 Series "Living the Veda dolmens"
Svetozar Poltavchenko and Lyubava Live. "We, the ancestors of the Origin, love you, awakened descendants, and want to help. We carry a lot of the Veda about the different aspects of the Universe, the stored light images of the now vanished civilization. We – the living source of the Vedas and the memory of the past, when people were happy, and can talk about how we should live. We have seen the development of humans from the higher spiritual States of enlightenment to regression and the total incidence in the lower classes of unawareness and irresponsibility for their habitat. We see the path of humanity, but have chosen the way of condemnation, and the way care and cleansing. Our strength is that we know how to change the course of events, and moreover, I want to participate in these processes. To be not bystanders, but active co-creators with you. We, the ancestors of the Origin, your roots, who dream to connect to the ancestral tree, to give him strength, to nourish life, to start to grow it strong and powerful crown that goes directly to the divine Rule! We sincerely believe that humanity, having received such a serious lesson, can take it and, leaving aside pride and materialism, to understand where to move further". Vedrussy dolmens Pshada Book is a collection of the Vedas, accepted a spiritual guides Living Faith in the Vedas (tradition Vedrussov) – Magi by Svetozar Poltavchenko and Lubava Living – from ancestors of the Origin, the spirit which dwells in the dolmens near the village of Pshada, Krasnodar Krai.